Do I wake her up? Or do I leave Sasha at home while I quickly drop the kids off to school? Today Catherine used EyeCura and it saved her from a grumpy 2-year-old daughter. We all know how mornings go. 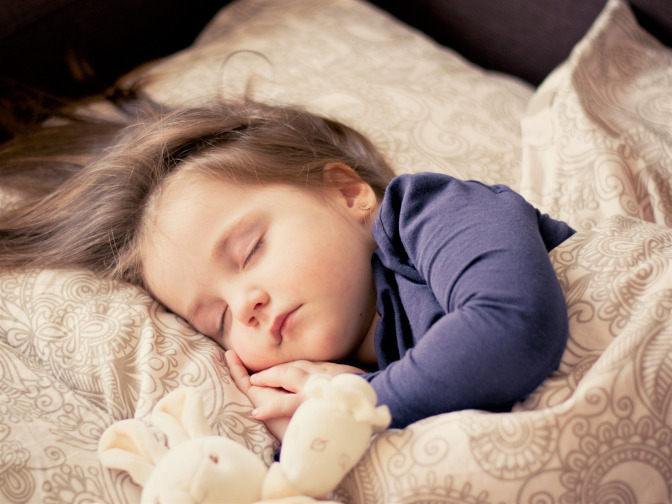 Everyone craves that extra 10-minute sleep-in and the thought of waking up, mind you, on a miserable, cold and rainy day is simply unbearable…especially for a 2-year-old girl like Sasha. So how did mother, Catherine solve this problem? …. you guessed it, with EyeCura! Every week day morning, Catherine takes her two children, Lillie and Luca to school. Despite not having to go to school herself, Sasha is still required to wake up at 8:45am and join them for the car ride. This is because, even though there are other people at home, Catherine feels as though she can keep a closer eye on Sasha if she is by her side. Understandably, this irritated Sasha and it soon became evident to Catherine thanks to her tantrums and enduring grumpy mood. Monday-Wednesday, Catherine could deal with sulky Sasha, but come Friday, Catherine just couldn’t do it anymore! She felt bad for interrupting her sleep and of course was fed up Sasha’s behaviour. I mean let’s face it, we all know how important it is for girls to get their beauty sleep, especially at 2-years old. So, one Morning Catherine thought of a solution to her long-lasting problem.. EyeCura! Using the streaming feature, she set her phone up in Sasha’s room, logged onto the same account on a difference device and placed her phone in her car. Mounted in a position that allowed her to keep an attentive eye on Sasha, with a simple glance, Catherine was able to check if anything unexpected happened to Sasha. She dropped her kids off to school with peace of mind knowing that Sasha was wrapped in profound sleep. So there you go, Catherine didn’t and no longer has to wake up 2-year old Sasha from her deep and peaceful sleep. With EyeCura she can achieve two in one. Keeping and eye on her daughter while taking her kids to school! Thats a win win if you ask me!